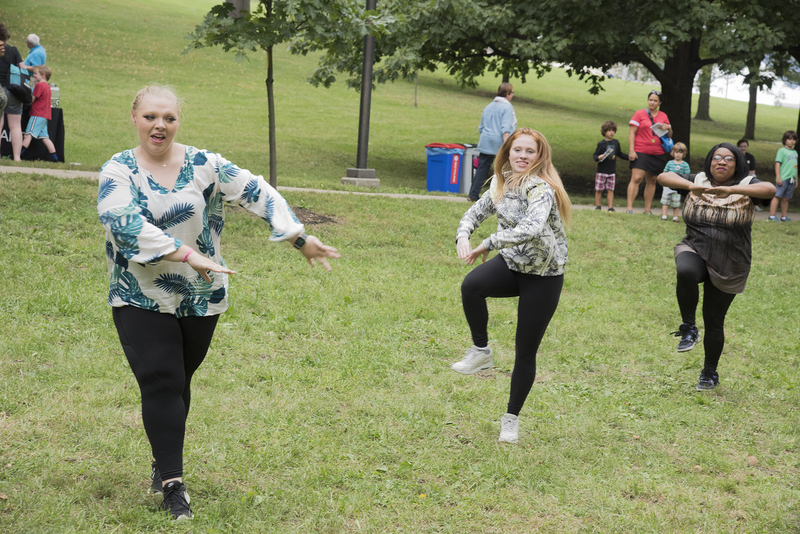 The Spencer Museum’s collection of more than 45,000 objects, vibrant exhibitions, and international artist-in-residence program offer a variety of engaging art experiences. The Spencer Museum’s diverse collection, knowledgeable staff, and instructional spaces support research and education for all audiences. The Spencer Museum offers two floors of galleries and educational spaces. We are open six days a week and admission is free. The Spencer Museum offers a variety of programs and events to engage and inspire visitors of all ages and interests through visual art. Supporting the Spencer Museum means contributing to high-quality exhibitions and programs and sustaining a world-class collection for all ages to enjoy. 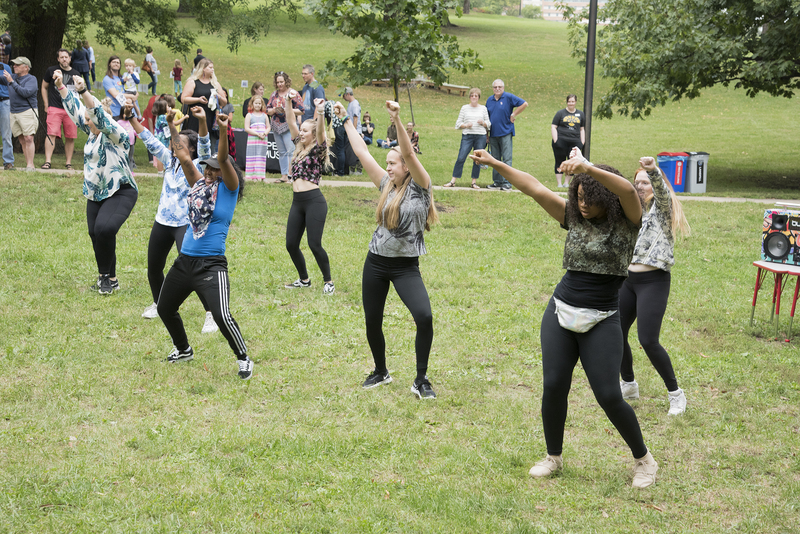 Located on the University of Kansas campus, the Spencer Museum of Art is a vibrant cultural center that sparks curiosity, inspires creativity, and creates connections among people through art. 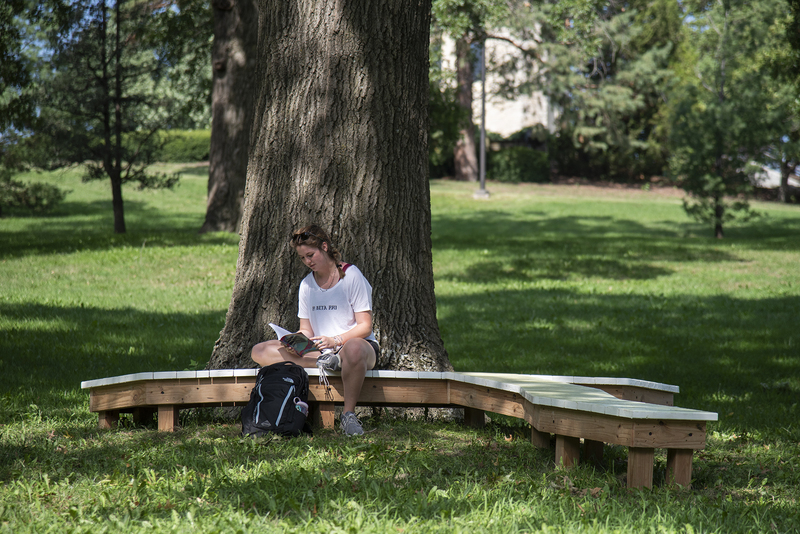 Art in the Grove enlivens the historic green space at the heart of KU’s Lawrence campus through two site-specific works commissioned by the Spencer Museum of Art. 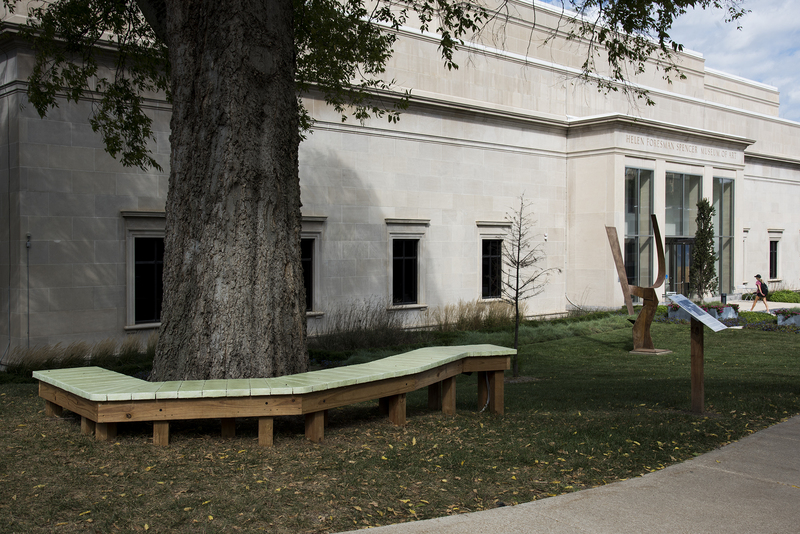 Artist team Judith G. Levy, Jason Zeh, and David Ross installed a series of benches that wrap around or “hug” trees in the Grove and in front of the Museum. Titled CHIPKO, the Hindi word for hugging, the installation was inspired by women in a village in Uttar Pradesh, India, who, in 1973, hugged trees to prevent them from being cut down by loggers. 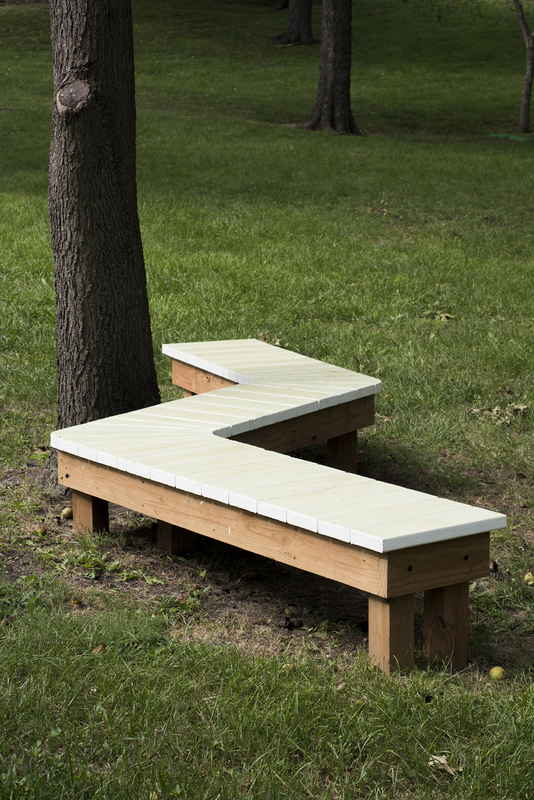 Two of the bench installations include audio created from synthetic and natural sounds collected from the Grove. Energy for the audio component is provided by both electricity and solar power. 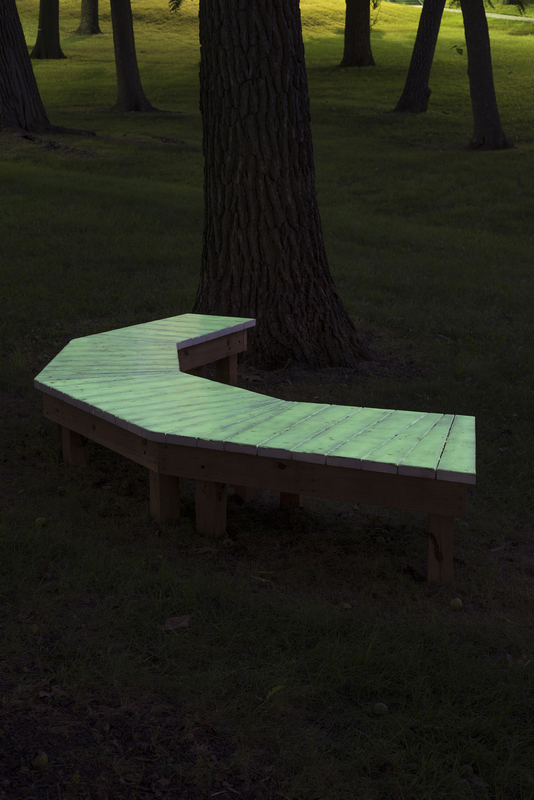 The benches in Marvin Grove are painted with glow-in-the-dark paint to artificially mimic the relationship the trees have with sunlight. 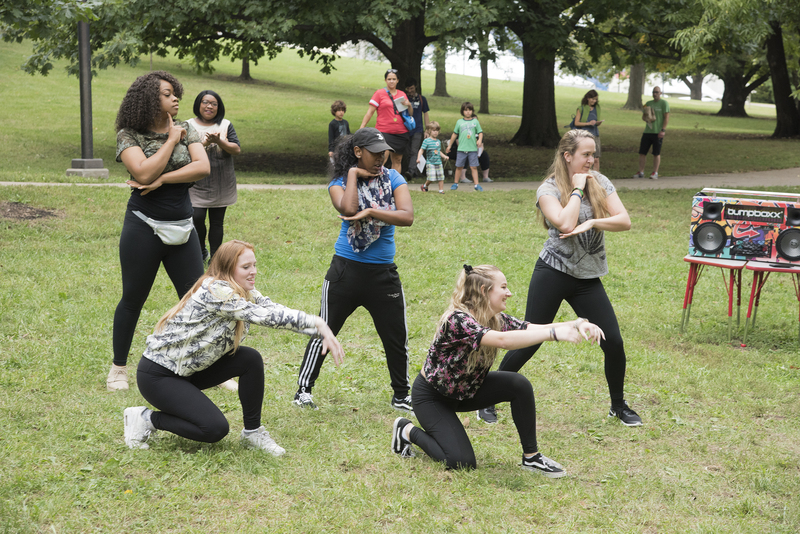 The second work is a dance performance choreographed by Maya Tillman-Rayton that uses the grounded movement from hip-hop and modern dance to celebrate Marvin Grove, adding to the beauty of the location. 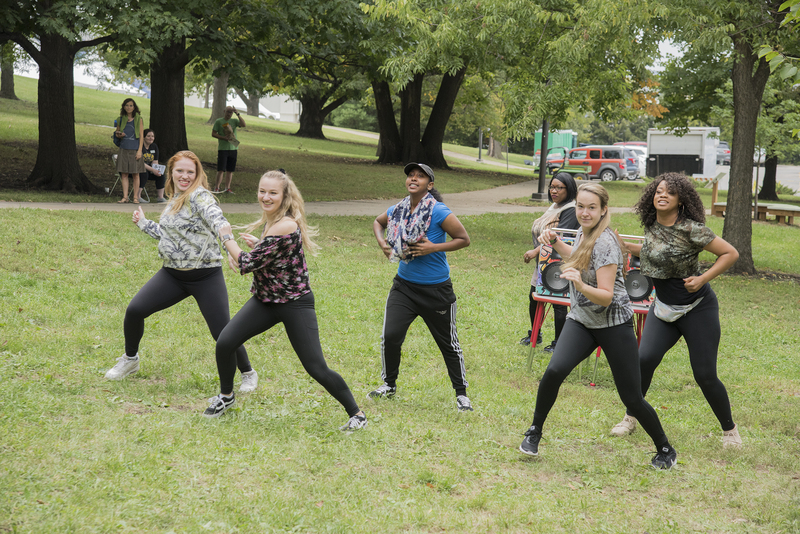 The performance, Groove in the Grove, premieres at the Museum's annual Backyard Bash on September 30. 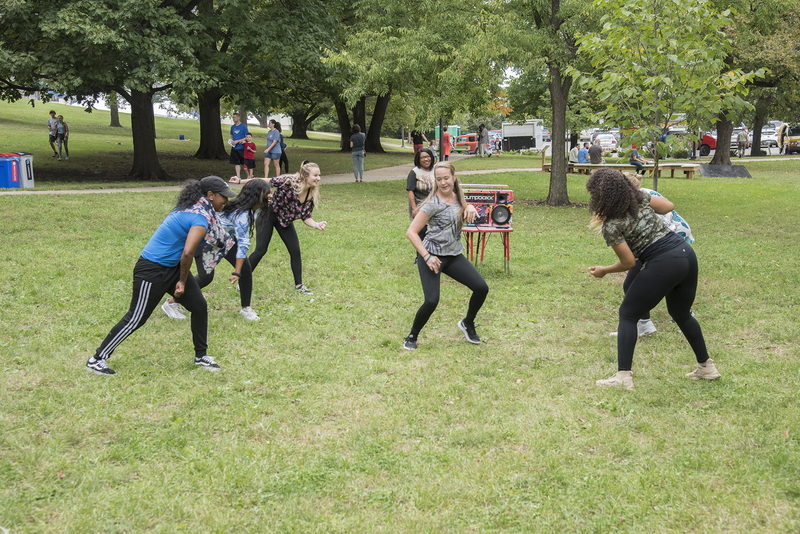 Art in the Grove is also a site for Open Spaces The Expanded Field. The exhibition is supported by Mike and Dee Michaelis and Emprise Bank and the Linda Inman Bailey Exhibitions Fund.